Farmers of the Saurashtra region of Gujarat have begun showing signs of frustration over lack of irrigation water to save the winter crop. 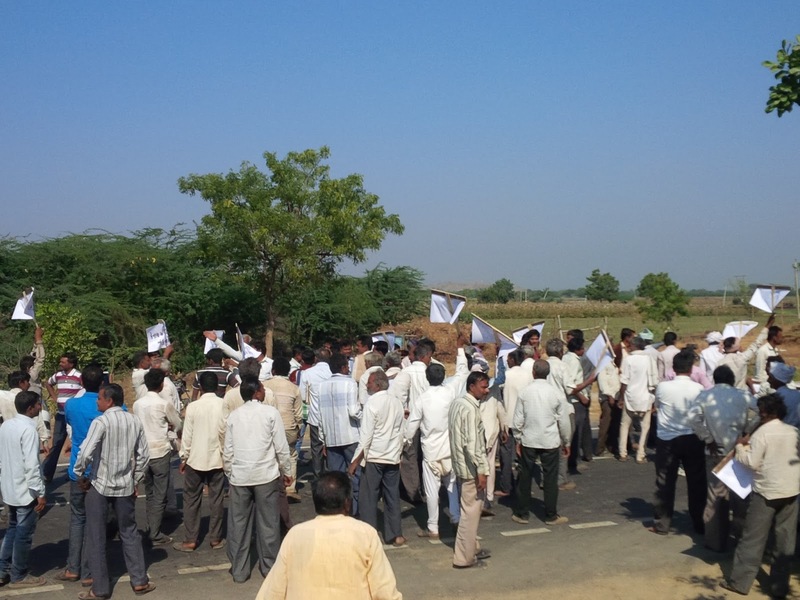 Information trickling from remote parts of the area say, the farmers of Talaja and Mahuva of Bhavnagar district have gone restive, going so far as to block the highway connecting between the two towns. The farmers were demanding irrigation water from the right-side canal of the Shetrunji irrigation project. “After a long time, and under extreme pressure from the farming community of the dam’s command area, the government officials agreed decided to release water in the canal”, said farmers’ leaders attached with the Gujarat Khedut Samaj, Bharatsinh Vala and Pinak Dhameliya. “The government, as usual, resorted to the only way that it knows of talking to the people: by detaining them. When the police came to detain the leaders, the people present there insisted on them all being detained. The police then released all of them”, they said. Officers from the Irrigation Department met the agitating farmers and gave them an assurance of releasing the water immediately. The water should reach the last village within 3 days, they told them. Following this assurance and the release of water the farmers have decided to call off their agitation. Gujarat Khedut Samaj secretary Sagar Rabari has in a statement criticized the state government for detaining the farmers demanding irrigation water to secure their winter crop from Shetrunji irrigation project. Meanwhile, reports from remote parts of the area say that not just agriculture but even the villages in other remote areas of Gujarat, too, are facing shortage of water as they are not only getting water once in three days, but are forced to buy it from private players. In another village, Linboi, people are forced to buy water from private suppliers as the village does not have any source of water. The panchayat has written for a construction of the well in the village. “However, we are not sure whether we will get water. But we are hopeful as Vatrak rivers flows in the vicinity of the village." Bhikhabhaui Varu, sarpanch of Kanthaiya Koli village in Jaffrabad, says that the village is getting Narmada water but the supply is not reliable and hence the villagers were supplied water once in three days. He adds, there was no question of taking any crop as this was a saline area. "The villagers are forced to buy water from the private suppliers. They store the water supplied by the Panchayat for drinking purpose, while the water purchased from suppliers is saline is being used for washing clothes and other household usage", he adds.